View meeting webinar recording here. Income is so much greater than expenses due to large final reimbursement from CDC grant in July 2015 from 2014-2015 grant. We’ve had 1,549 visits to our website. These are up almost 24% in May-July, compared to last quarter. 318 Twitter followers on 8/1/16, an 8% increase from last quarter. Membership – 167 Members, up 21 since our last meeting. No organizational Partners since our last meeting. Can you help us increase this? Talk to your organization about joining today! CBI – Be on the lookout for new Community Breastfeeding Initiative Mini Grants coming this fall. We hope to award 3 more communities with funding to help move their breastfeeding efforts forward. SHIP – Access to care, obesity and depression. Health Systems focus will be health disparities, health equities focus. NE BFC is listed as a partner for obesity and health equities. There are indicators listed as increasing breastfeeding duration. Training – Linda Smith is coming to Omaha on August 22-27th. We have 10 people registered so far, and would love more! Go to http://nebreastfeeding.org/ibclc-training-linda-smith/ for more info. We provided scholarships for 10 members to attend the GOLD Lactation Online Conference and they all said it was a very valuable experience! The Coalition is working with CHI to host the next Biennial Breastfeeding Conference on October 25th. Arli will tell us more in her update, but we hope to see you there! Three members of the Leadership Team and myself are headed to Washington D.C. this weekend for the US Breastfeeding Committee’s conference of coalitions. We can’t wait to share what we learn! We still need your help! If you’re willing to serve on a task force, please let Kelli know. Breastfeeding practices in the hospitals for the healthy babies. Had everyone repeat the CDC MPINC survey. Data is showing there are still a lot of problems in NE. Work on avoiding supplementation with non-breastmilk, still giving formula discharge packs, and too many separating moms and babies after birth. ​​​​​​​​​​​​​​Group met on July 26th. Dorothea Clute was present. She is an African American woman wanting to obtain her IBCLC and would love any scholarships. We’re reaching out to Sherry Payne and other sources to see if we can help her obtain her IBCLC. Sara Brown continues her work with the North Omaha Advisory Team. They’ve been meeting for about six months. Had an open community forum discussion with Sherry Payne. On August 17th they’ll begin CBE training, taught by AJ and Ann Seacrest. Sara and Tami Frank will be presenting the project at USBC conference this weekend. They’re working on getting their CBE’s to organize something for Black Breastfeeding Week. They also need $500 to help fund the rest of the women and then $15/hr for a 15-hour course. Once these women are trained they would like to add a business plan so the women can help write their business plan with how they hope to use the training. They’re hoping to have the community help absorb that cost. MilkWorks and MilkWorks O are trying to raise $75,000 to continue to provide consultation services to Medicaid and low income mothers, as their funding is in jeopardy. They’ve also been meeting with the 3 new Managed Care plans to make a push for them to include breastfeeding services. Chandra Walker, Native American woman, with SOS program at DHHS. Her job is over, so she’ll continue to look for more work in that area. 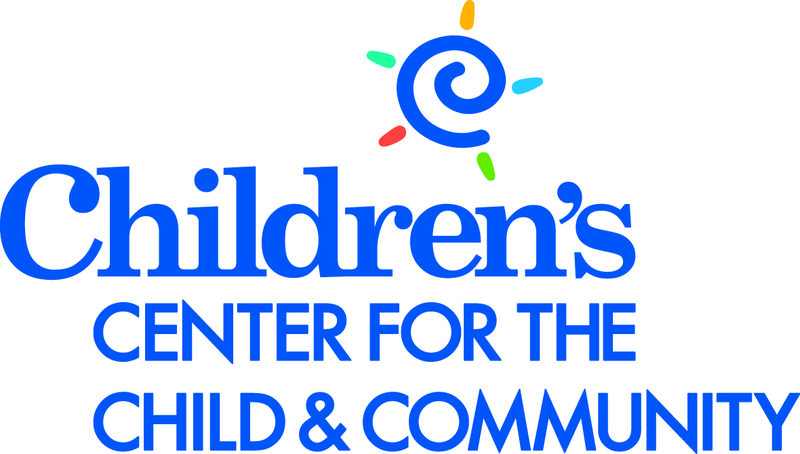 ​​​​​​​​​​​​​​We are planning to continue providing additional Child care trainings this fall for area child care centers. One of the primary focus areas includes the breastfed baby and educating child care staff on hunger and fullness cues, how much ebf eat compared to formula fed babies, supporting the breastfeeding mother, and proper breastmilk storage and preparation. Also thanks to some of our coalition members several of our area county fairs and events this summer in our region have offered mother’s rooms that included privacy to nurse with a recliner, outlet, and fan among another amenities. ​​​​​​​​​​​​​​BF booth at the Buffalo County Fair and served 6 moms. They’re hosting a Big Latch On this weekend in Kearney to celebrate WBW. They’re trying to grow their team and membership in Kearney. ​​​​​​​​​​​​​​SEDHD Covers 5 counties. Have received a few grants to do work in the area. They keep bringing everyone together. There are two hospitals in the counties that deliver babies but they both have weekly support groups now. Kelly also does a support group that’s partnered with the hospital. They talk with moms prenatally now about breastfeeding and help her develop a plan. Their coalition is doing a few things for WBW. Trying to get more people involved. They’re doing a mother’s lounge at upcoming festivals. All the papers have run articles about their work as well. Dr. Anderson spoke to a group of nurses there. They’re all taking the CLC course in October. ​​​​​​​​​​​​​​For WBW they’re doing the La Leche Loco Run in Lincoln on Saturday. There will be a DJ, face painting, balloon art. Sign up today for $15! There’s lots of great prizes! The Omaha run is on 8/27 in Omaha and you can sign up for that one as well. Their resource guides come in Spanish as well. The womanly art of breastfeeding is published in 7 languages, so check out LLL International. Stats: January through June stats – 73 meetings in NE. 482 moms attended. 297 1-1 contacts. 43 leaders in NE right now, 12 groups, 4 in Lincoln, 8 in Omaha, and another 4 in Western NE. Go on lllofne.org for place and times of meetings. A lot of leaders are IBCLCs. ​​​​​​​Entering year 3 of the 3 year CDC grant. Partners to Improve Community Health (PICH). The CBE videos produced by 10 Health are live! There are even clips in the moms’ native languages. They recently revamped their website on healthylincoln.org/breastfeeding – Employer Support, Moms, Dads and Families and one for Physicians. They’re working with employers and worksite councils to help with business piece as well. They’ve launched a digital media campaign and are targeting moms around Lincoln looking for support they have an ad that pops up and directs them to the page. Another campaign will target employers. Hoping to hit midsize employers. Orbit Interactive. There’s a second CBE training that concluded in June and now have 11 more CBE’s in Lincoln. One is a Native American mom and she speaks Lakota. Full CLC course this October in York. Working with WIC to find where gaps are in the Omaha area. Gathering info now. We have a save the date and tentative schedule (see bottom of this post)! We’re seeking panelists for the panel sessions listed above! If you or someone you know might be interested, please let Kelli or Arli know! Panelists will receive a small stipend. Working mom with a 2 year (successfully breastfed her baby for 14 months at a variety of employers). New concept of working parents returning to work going to a co-working space with a childcare facility attached so moms could nurse their baby during the day. A beta space launching in summer 2017. Wants 3 moms to participate in the small scale space as early adopters. If you know a newly pregnant woman who would be returning to work around this time, let Katie know! Would love to launch a full space in 2018. Want to work with progressive employers to pay for or subsidize membership to the co-working space. ​​​​​​​Katie Graves – Climb out of the darkness walk in Sarpy County. Raises awareness for maternal mental health. They raised $1,470 to go towards postpartum progress. They provide literature to anyone who wants it. Hoping to do another one next year – June 24, 2017. Registration is free and then free will donations/fundraising. Katie Stern – Gretchen Swanson Center in Omaha. First journal article about to be published in Journal of Maternal and Child Health. AJ Cecil-Starlin – Live Love Latch event is this Saturday, August 6th at 10AM at Rockbrook Village. All are welcome! Leah Shrader – USDA Katie Wilson is going to come visit and congratulate them on their award. They’re doing a billboard for WBW. Madelyn Brunow – Septmenber 22nd and 23rd Outpatient Breastfeeding Champion course through MilkMob in Missouri Valley. Rachel Sazama – doing a breastfeeding promotion on KRGI (Grand Island) tomorrow and have a blurb in Grand Island Paper as well.